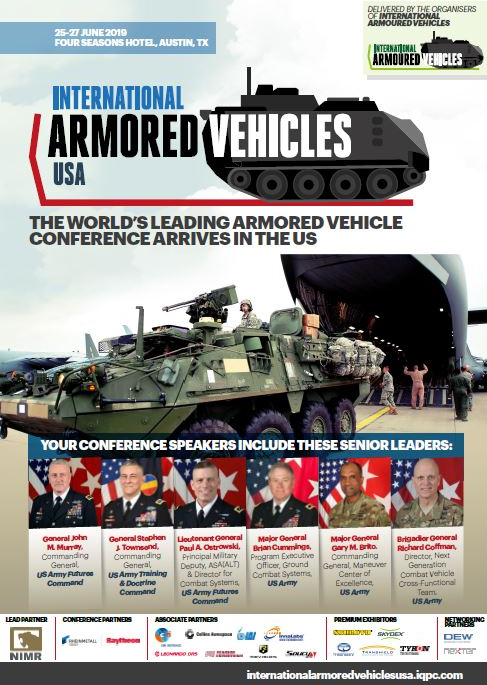 The inaugural International Armored Vehicles USA event will take place at the Four Seasons in Austin, TX, the new home of US Army Futures Command, as it transitions to Full Operational Capability. US Army Futures Command will be represented at the conference by General John M. Murray, Brigadier General Richard Coffman and Lieutenant General Paul A. Ostrowski. Download a copy of the agenda for all the information relating to the event or email enquire@defenceiq.com for more information.